Your Challenge: Keep all your workplace policies and practices compliant with your state’s employment laws and regulations. BLR’s Solution: Our constantly updated, state-specific desk reference that explains, in plain English, how to handle over 200 areas of employment law compliance, customized for your state. You also get a monthly update, prepared by in-state attorneys, on how the latest laws, regulations and court decisions affect how you do your job every day. 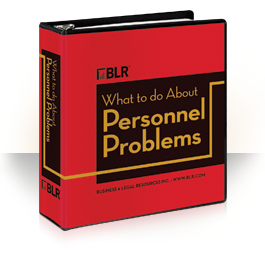 What to Do About Personnel Problems in Your State is the ultimate turn-to guide for smart HR professionals don’t have time to waste searching for answers to questions about state employment laws and regs. And don’t want to worry about the accuracy of random advice found on the Internet. Prepared by in-state experts, it helps you make better decisions whenever a workplace policy and practice question comes at you from employees, supervisors, and other top executives. Updated quarterly (included in your purchase), it also includes a fast-read monthly newsletter prepared by leading employment law attorneys in your state. From Absenteeism to Workers’ Comp, you’ll quickly learn how to deal with HR challenges — all within the requirement of YOUR STATE’s employment laws. For over 30 years, human resource managers have relied on this practical state employment laws resource to understand and stay on top of ever-changing employment regulations in their states. The HR Red Book® delivers clear, straightforward answers to the state employment and HR laws that apply to your organization. It will tell you what all critical human resources regulations mean, what you need to do to comply, and how federal employment laws differ from those in your state – whether you're in California, New York, or North Dakota. Learn how your state laws differ from federal law on over 200 key topics. Available for 49 states plus Washington D.C. Fully indexed, cross-referenced, with full legal citations without having to know which laws apply. Full regulatory citations if you need them. 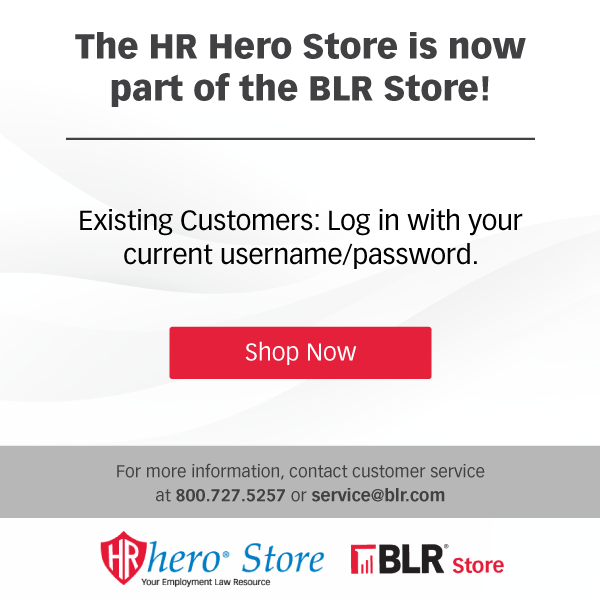 BLR’s exclusive, state-specific salary and benefit surveys help you pay fairly. Includes your monthly State Employment Law Letter (Washington DC gets the Federal Employment Law Insider) to keep you updated on human resources current issues and all aspects of employment law. GUARANTEE: Your 100% satisfaction is guaranteed. If for any reason you are not completely satisfied with What to Do About Personnel Policies in [Your State], simply let us know within 90 days, and we will issue you a complete refund.